With those four words “your son has autism” our lives were forever changed. The dreams that I artificially ascribed to my son as fathers do, of him being a football player, doctor, or musician changed with those four words. My mortality quickly came into focus, who will take care of Noah when we die? I now must live forever rattled back and forth in my head. When your son or daughter gets a diagnosis of autism, it is not just that person who is diagnosed, your whole family is diagnosed. Dreams were changed not only for Noah, but his siblings as well. I wish I could say that siblings aren’t affected, but that is wishful thinking. They often become mini caregivers shouldering responsibilities that they never asked for – but for many families to survive it is required. At that time, we had no idea how our journey as a family would be shaped and reshaped again time after time, we are consistently being molded like clay. 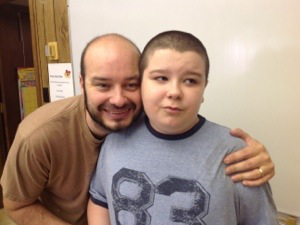 Sometimes the reshape is because of insurance denials, poor schools…, or as we try to eek out a sliver of independence outside of our autism journey…. Our dreams as parents had to change, once there were dreams of an empty nest and a savings account to retire on. Perfect sunset dreams danced through my head of my wife and I traveling the country in an RV, not sure she had those dreams, but I sure did. While that still may happen, it is evident that our nest will have at least one bird in it. Today’s dreams are different, not better or worse, just different. However, that live forever thing is still number one on the list…. So how do you stay motivated to live your best well life on your journey? Read other posts on our blog and we will talk about how to add joy to your wellness bank account. Don’t worry this is NOT a blog that will tell you there is a magic button, there is no magic button….